Earlier this year, former two division world champion Paulie Malignaggi announced his retirement after getting knocked out by British welterweight contender Sam Eggington. 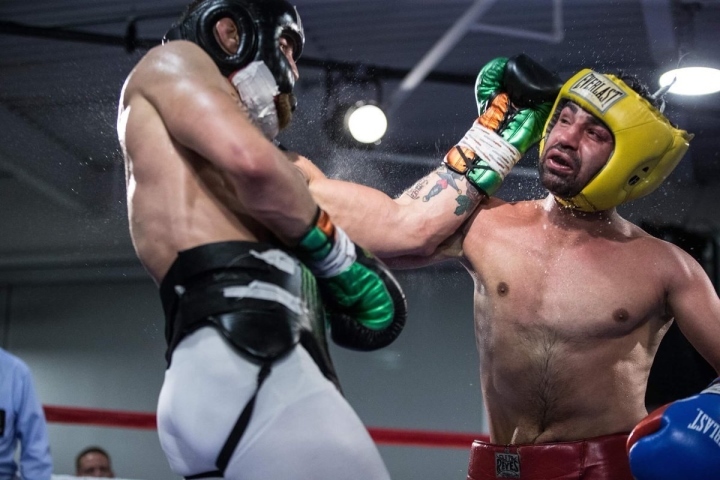 Malignaggi thought his days as a fighter were done - until he was hired to serve as a chief sparring partner for UFC superstar Conor McGregor. McGregor is preparing his professional boxing debut, when he takes on former five division world champion Floyd Mayweather Jr. on August 26th at the T-Mobile Arena in Las Vegas. Malignaggi claims that he battered McGregor - until the Irish MMA star became frustrated and pushed him down. While Malignaggi has been angered by the fallout, he won't reveal McGregor's fight strategy. Mayweather, 40 years old, is returning to the sport for the first time since announcing his retirement in September 2015 after winning a twelve round decision over Andre Berto. Now Malignaggi is willing to make his own return to the sport - by setting the record straight with McGregor in a sanctioned fight. “Would I fight him? I don’t mind putting some leather on him. I enjoyed Tuesday night. I enjoyed throwing the beating that I gave him Tuesday night, and I would love to continue to do that,” Malignaggi said to TMZ Sports. Malignaggi, who works for Showtime Sports as an expert analyst on their boxing events, will be ringside for the event. Hence the sparring drama he's been whining about on social media. All leading up to him wanting a big money fight with McGregor. Go away Paulie, you got cvcked by Broner and Conor punished you in sparring.